WISE ON THE MIDDLE EAST Each week Robert L. Wise, PhD, explores the Middle Eastern situation, from Egypt through Jordan, Syria, Lebanon, Israel and the surrounding area. Wise first traveled to Israel and the neighboring countries in 1968. Two of his sons taught in Jordan and Lebanon universities. Wise presents an objective view of the behind the scenes situation in these countries. Wars have a way of clarifying reality. (Napoleon, England’s 1776 King George, Japan’s Tojo, & Hitler learned that fact). After the dust settles, we get a more accurate picture of what’s been going on in the background for some time. The recent near-war between Israel and Gaza that occurred in early November has done the same. *The control of the terrorist organization Hamas over Gaza and the surrounding territory is extensive and virtually total. The Israeli Defense Force (the IDF) secretly entered the Gaza strip in a vehicle that was immediately detected by Hamas. The use of technological equipment to identify the encroachment clarified that Hamas has a somewhat sophisticated and total grip on the area. *Hamas is well down the road in swallowing the Palestine Liberation Front. Hamas has effectively replaced Fatah as the ruling organization in Palestinian territory. When Mahmoud Abbas and the PLO threatened to bring sanctions against Hamas, they were warned that should they attempt such an imposition, Hamas would go to war with them. Recognizing they would lose such a conflict, Abbas backed off. The conclusion that insider observers recognized was that Fatah is crumbling. *These events tell us about the leadership crisis existing within the PLO. 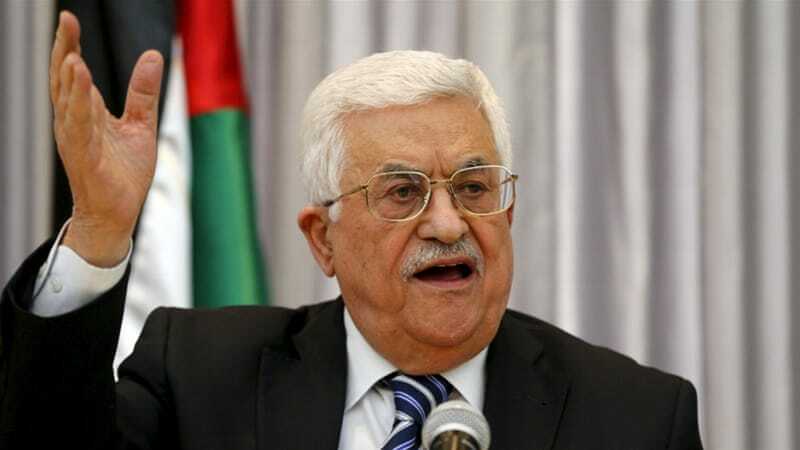 For some time, I have been writing about the problems of 83-year old Mahmoud Abbas. With cancer problems and heart disease, the leader of the PLO has to know he is facing the End in the near future. At this point, no one with any weight has appeared to replace him. Moreover, the Arab population continues to defy Abbas. In turn, Abbas has forever refused to hold elections. The hand on the steering wheel continues to slip. *The PA is in trouble at the bank. They are running out of money. When the USA suspended assistance, the Palestinian economy splattered. The PLO has endured because of outside support for years. This prop has dropped. While the media watched the Israeli-Gaza rocket exchange, tens of thousands of Palestinians were marching against the PA in Ramallah against the government decision to nationalize private pensions and insurance policies. The collapse of the PA is near. What really keeps Abbas and Hamas awake at night is the fact that Arab countries no longer see the Palestinian problem as a unifying factor in their world. Many are already doing business of some type with Israel. The recent conflict clarified the situation.